WE CAN MAKE IT LOOK AS GOOD AS NEW… FOR A FRACTION OF THE COST OF REPLACEMENT! IS YOUR TILE AND GROUT DIRTY,DO YOU HAVE MISSING GROUT? DARK, STAINED OR DISCOLORED GROUT? X-Treme Stone and tile serves Madison County St Clair County of Illinois and St Louis, MO Counties with professional tile and grout cleaning and restoration. 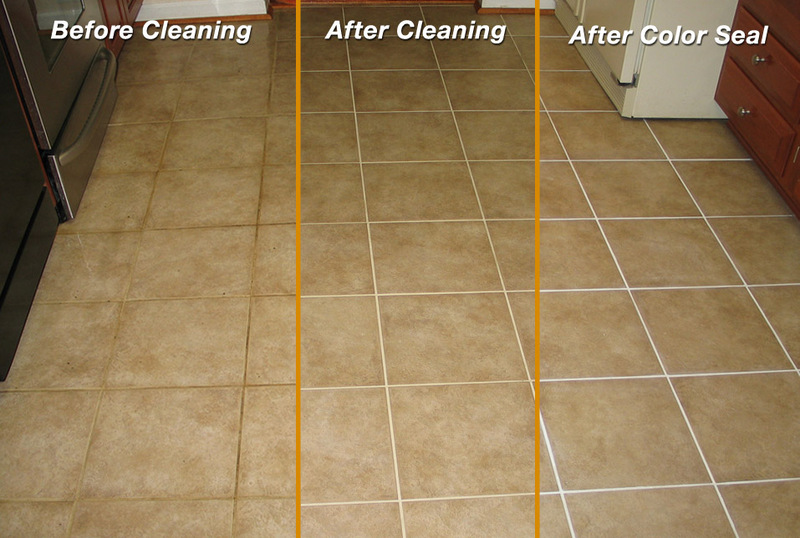 Our cleaning and sealing services can restore your tile and grout to like-new condition. Ceramic tile, porcelain tile and other man made tile, especially grout lines frequently need to be cleaned and maintained. In a commercial or residential setting the ceramic tile and porcelain tile that have textured finishes have a tendency to collect dirt in the rough areas. These tiles usually collect dirt due to improper cleaning processes and the use of improper cleaners. X-Treme serves med-west of Illinois and st Louis, MO with professional processes for cleaning your ceramic and porcelain tile and grout floors, shower walls, counter tops and other surfaces to.. Dirty Grout? Grout on tile floors is usually what gets dirty first. X-Treme services our clients with professional services designed to deep clean grout lines around ceramic and porcelain tiles. The first thing you need to know about your grout is that most tile is grouted using sanded grout. Sanded grout is porous and virtually anything that is spilled on the grout penetrates into the pores and accumulates, leaving you with dirty and unsanitary floors, no matter how often you clean them. Even when cleaning your tile and grout, often the dirty water lays in the grout lines, dries and attaches itself to the grout and suddenly you develop dirty grout lines. Also grout becomes stained from the bottom of the sub straight and stains the grout. Even the most aggressive cleaning methods will not totally clean up these stains, but X-Treme has a process that can clean, then seal your grout with the highest quality sealer available.